Introduce fruit vocabulary to students. Ask questions like: What colour is a banana? How many apples? Do you like oranges? What is your favourite fruit? Focus on favourites and singular and plural, for example one apple – two apples. Make sure that students add “s” to plural fruit. Create a small picture story on the board as a guideline. 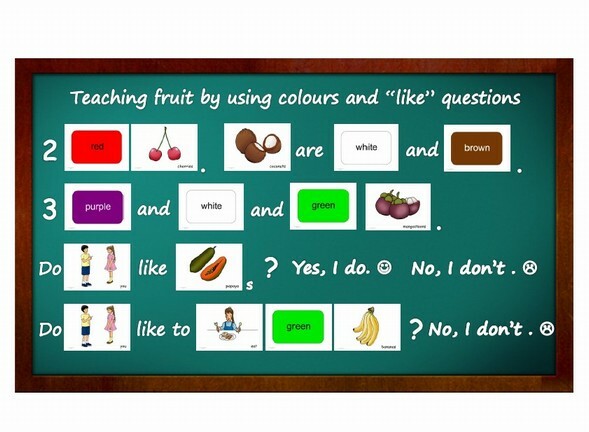 Let students fill in their own favourite fruit vocabulary what they like, what colour it is and how many they see on the image cards. Form simple sentences on the board as a reading exercise. Dance of the Ostriches - Fun one on one game where you attach a flash card to the backs of two students. 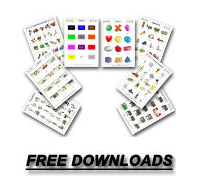 The object of the game is to look at the other student's flash card and yell out the word before they see yours.